Isn’t Brenna a cutie? She’s our beautiful lab mix that’s been with us for 10 years and she loves cookies. All the cookies I make aren’t for her, but she is an optimist and always thinks that the current batch is hers. You probably noticed the shaved part of her leg. 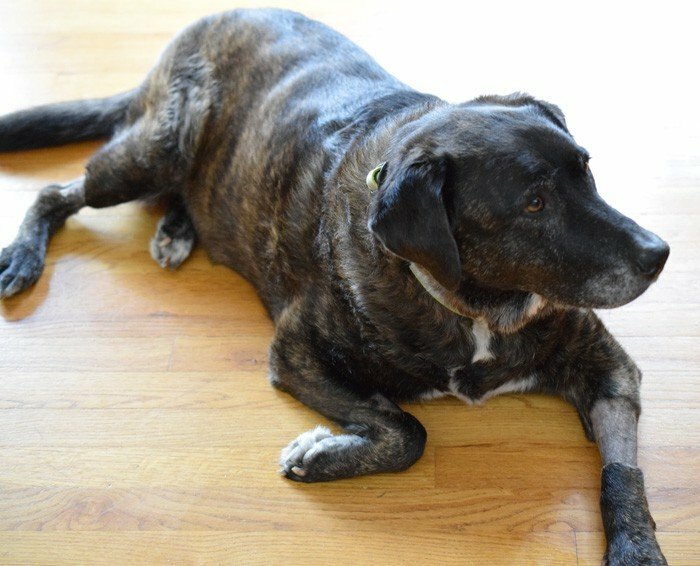 She was diagnosed with lymphoma in October and started treatment. Her veins aren’t easy to find, so they needed to shave some hair off to get to them. It’s been up and down the past few months, but we’re hopeful that she’ll get better. She just got switched to a new treatment protocol and this one uses pills instead of needles so that’s a plus. Best of all, she’s playing more and being mischievous which lets us know that she’s feeling better. Brenna update: She’s been in remission for about 6 months and is doing well. She is a bit of an oldster, but she is still bossing us all! While she’s being treated it’s impossible to not spoil her a little. Plus, if a treat can get some oats, coconut oil, pumpkin, whole wheat and cranberries in her, it’s a win-win to me. I love coming up with new flavors of dog biscuits for the pups to try. Feel free to play with the recipe. Use applesauce in place of pumpkin puree, blueberries instead of cranberries, and so on. Just make sure the end result is the texture of soft clay. The most important thing is that you cook them long enough to dry them out well, or you’ll need to store some in the fridge or freezer so they don’t get moldy before you use them. Preheat the oven to 350 degrees and prepare your baking trays with parchment paper or grease the with a little oil. Add the ginger and water to your blender and blend until smooth. Add the cranberries and blend until the are in small bits and pieces. Add the ginger-cranberry mixture to a mixer along with the pumpkin puree, flax mixture, melted coconut oil, and cinnamon. Mix well. Add in the oats and mix, then add in the whole wheat flour and baking soda then mix again. Add in the brown rice flour a cup at a time until the mixture is thick like a wet clay. (You can use extra whole wheat flour in place of the brown rice flour). Sprinkle some extra flour on a large cutting board and take ¼ of the dough and roll it out flat. Use your favorite cookie cutters to cut out shapes in the dough and place them on the prepared baking tray. Repeat until all the dough has been rolled out and cut into shapes. Bake 15 to 20 minutes depending on the size cookies you make. Mainly you want them to be very dry so they store well, but not burnt. 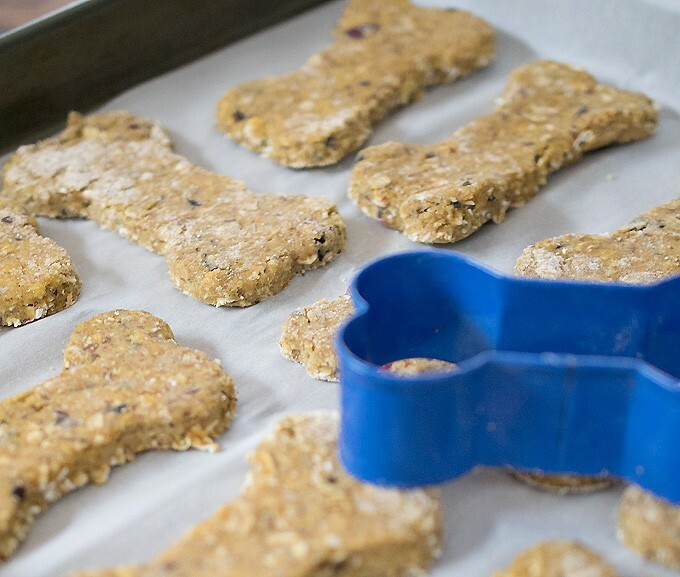 Be sure to try out my Peppermint Puppy Cookies and my Make Your Own Banana Flax Vegan Dog Biscuits – your pups will thank you! 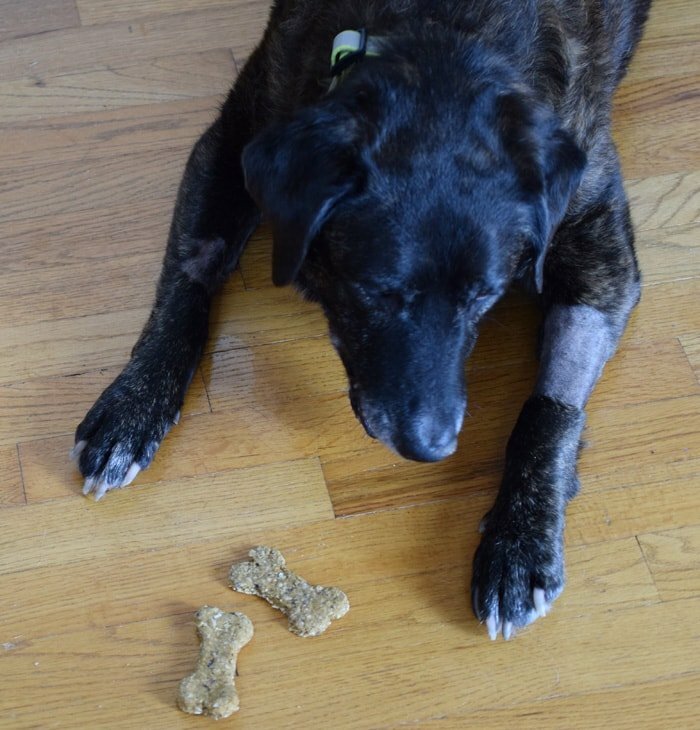 With a fabulous treat like this, your dog is bound to get better soon. Hope so! sweet pup! um, LUCKY pup! Rosemary loves homemade cookies… I need to try these next! Awww – I love your sweet Brenna. I hope she gets better soon – and in the meantime, enjoys these wonderful treats. We don’t have a dog anymore, but when I find one that I have to spoil (even if she/he isn’t mine), I know just where to come back to for a fabulous treat. Awww, she’s beautiful. She looks like our sweet Guinness. He loved when I made him peanut butter cookies. I bet he would have loved these. Prayers and good thoughts to sweet Brenna. I just updated that. So sorry! It uses 1 cup of pumpkin. Aw, poor pup! I hope she gets better soon. She is definitely well loved! 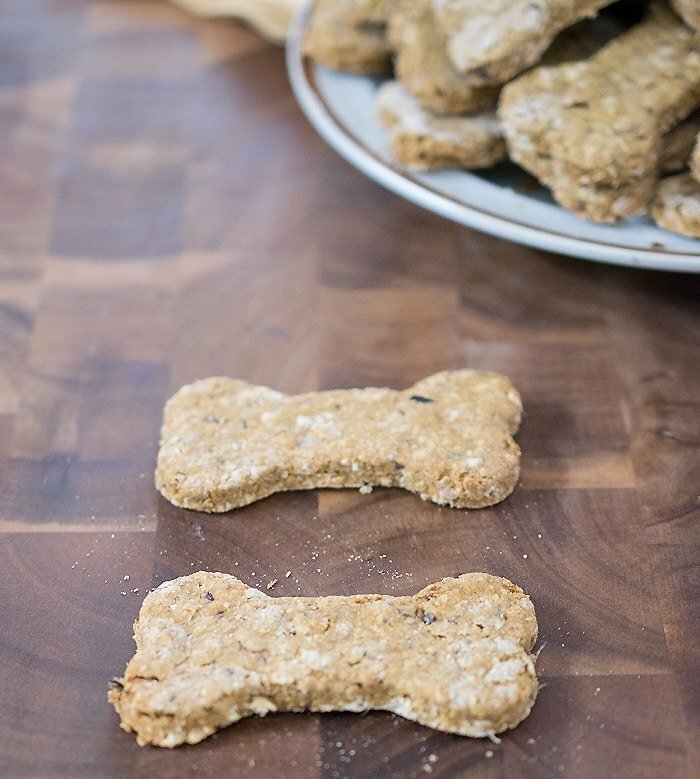 What a lucky pup to have these special homemade treats! I love making treats for my dog! Thank you for these! Pinned to my Pet Lovers board. These are so cute! I’ve been looking for a good puppy treat recipe to make for my sister’s adorable golden! Aww beautiful she is. I pray she gets better, I know that must be so hard. These look like wonderful cookies for her and am sure they make her feel better! I hope beautiful Brenna makes a full recovery. My little mischievous Chester will love this recipe! I just want to hug her!! Sending good thoughts for treatment! 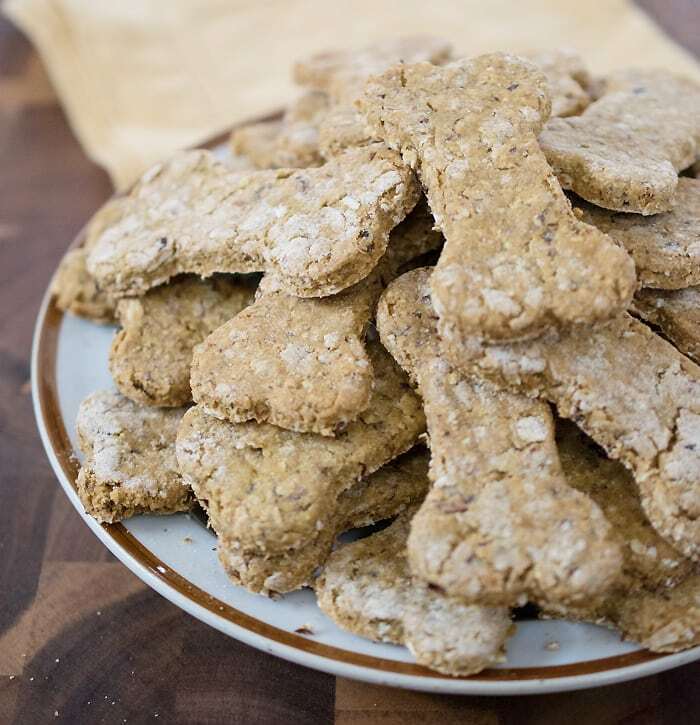 My Border Collies will love these cookies – they love pumpkin treats! I’ll give her a hug from you! What a gorgeous dog you have. I hope she is better soon. I bet she appreciates those cookies. Such a good idea to bake your own. All the best to your dog!! I hope Brenna feels better soon! I’ve never thought of using cranberries in my doxies cookies…. Get well wishes for Brenna….. These are fantastic my pups just love them, I did substute blueberries for cranberries. I was wondering how long they would keep for?? however they only lasted four days with my crew!! They last longer if they are cooked dry. 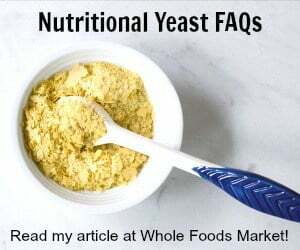 If I do not want to use the coconut oil in the recipe what can I use in place? Thank you! You could use a different oil or use applesauce. The cookies will need to be kept in the fridge if you don’t use any oil.